Skulls might look cool on your gear. But no one wants to be one. That’s where safe-riding practices come into play. South Dakota has more motorcycle riders per capita than any other state. We love the open road – but that means a bigger need for safety, too. 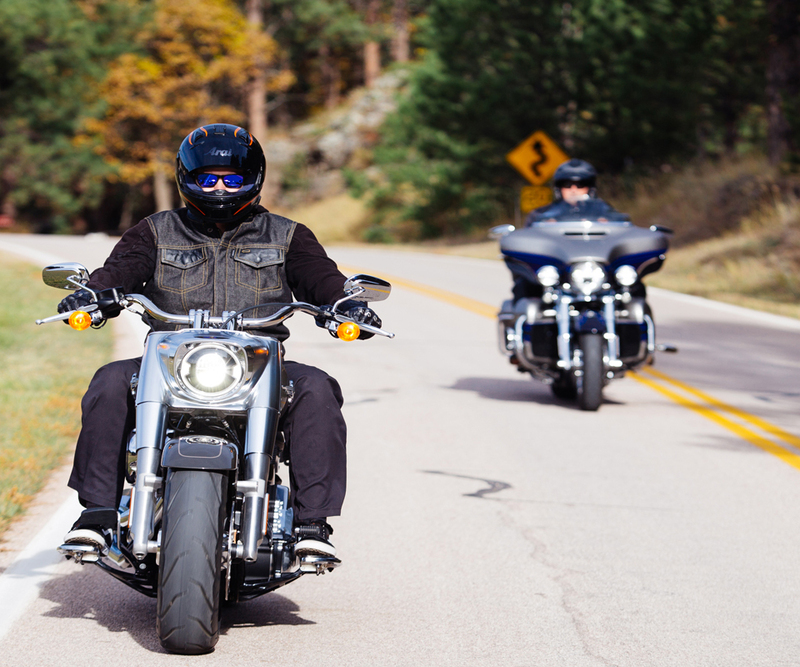 Due to summer riding and the Sturgis Motorcycle Rally, about 70% of South Dakota’s total motorcycle fatalities occur during July, August and September. 70% of the people involved in fatal accidents in SD are from other states. Over half of all motorcycle crashes involve another vehicle. Nationwide, 43% of motorcycle riders who died in single-vehicle crashes were alcohol impaired (2014). We can save lives by wearing the right gear, riding sober, riding within our limits, educating motorists and getting familiar with routes, conditions and speed factors before a ride. In South Dakota, we’re passionate about motorcycles, but we’re also passionate about saving the lives of riders and drivers on our roadways. So enjoy South Dakota’s scenic rides, pigtail bridges and monumental views. Just make sure to review the right safety tips to go along with them.